Hollywood legend Gregory Peck ("Pork Chop Hill") stars in this colorful, thrill-packed western produced by legendary filmmaker Norman Jewison ("F.I.S.T.") and directed by the acclaimed Ted Kotcheff ("The Winter People") with a screenplay by the great Alan Sharp ("Rob Roy"). The first western to be shot on location in Israel, it's a grand and glorious adventure pulsating with noble camaraderie, relentless action and forbidden romance. Archie Dean (Peck) and his young partner, Billy (Desi Arnaz, Jr., "House of the Long Shadows"), are bandits by trade, staging daring robberies throughout the American frontier. But when their latest heist takes a deadly turn, they are pursued by a ruthless marshal (Jack Warden, "12 Angry Men") who's determined to bring them in - dead or alive! 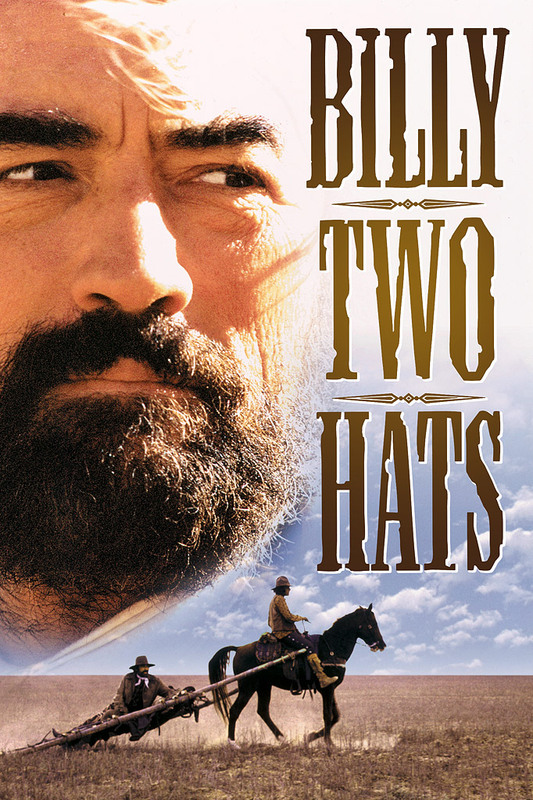 A compelling saga of the wild west that features brilliant cinematography (Brian West, "Wake in Fright"), rugged landscapes and cliffhanging excitement, "Billy Two Hats" is dynamic and spellbinding - a must for every western fan. Co-starring David Huddleston ("The Big Lebowski").